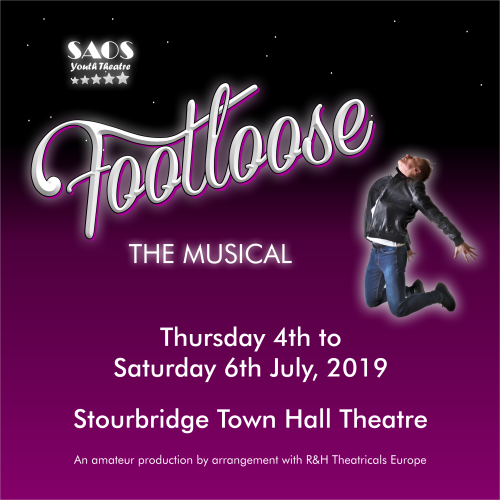 As a member of Stourbridge Amateur Operatic Society you have unrestricted access to requesting tickets. Lara Mitchell - "Legally Blonde"
Paul Turvey - "Legally Blonde"
Stourbridge Amateur Operatic Society was founded in 1909 and has since performed an array of musicals and operettas. In more recent years it has become renowned for staging the more modern musicals, including Fame, Footloose, Our House, Legally Blonde and Priscilla Queen of the Desert which it has been able to do because of its youthful membership and its passion for energetic and fast-moving shows. However, the classics such as Anything Goes, West Side Story, Guys and Dolls, Oliver! and Pirates of Penzance still make an appearance. This beautiful hall offers all the modern comforts you would expect, surrounded by many attractive Victorian features. Situated in the centre of Stourbridge town with both a main line train station and bus station within minutes walk, it ensures this venue is both accessible and attractive to many people. Ideal for shows, I concerts, sales, exhibitions, meetings, discos, dances, and wedding receptions. Tickets are non-transferable and non-refundable Should you require a wheelchair please call the Box Office number as there are designated seats which can only be booked by the Ticket Secretary.